Jet aerobatics has a newly designed logo done by Rod Snyder. We now have the design digitized for embroidery ready. 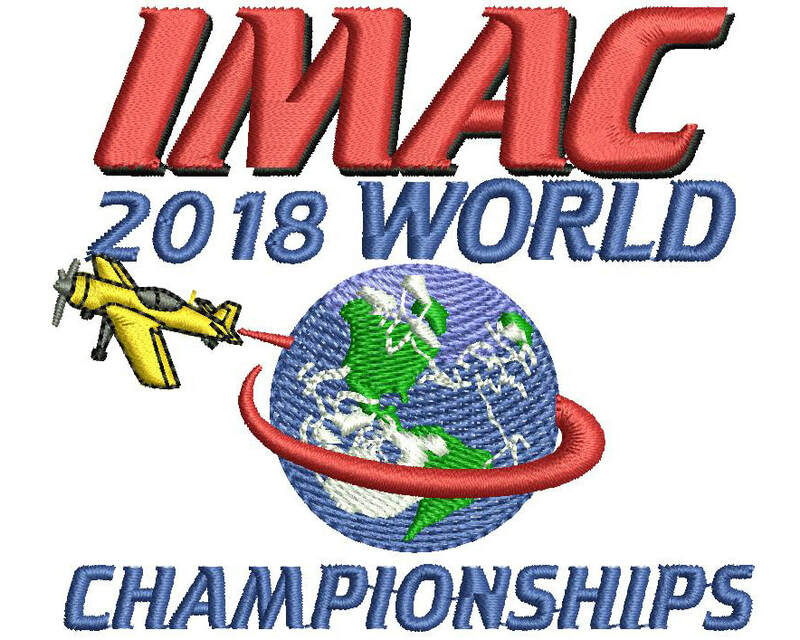 Wayne designed the 2018 IMAC World Championships logo which was developed as a "carry over" from the previous 2014 World Championships logo. Anyone needing embroidery, can contact Wayne HERE. 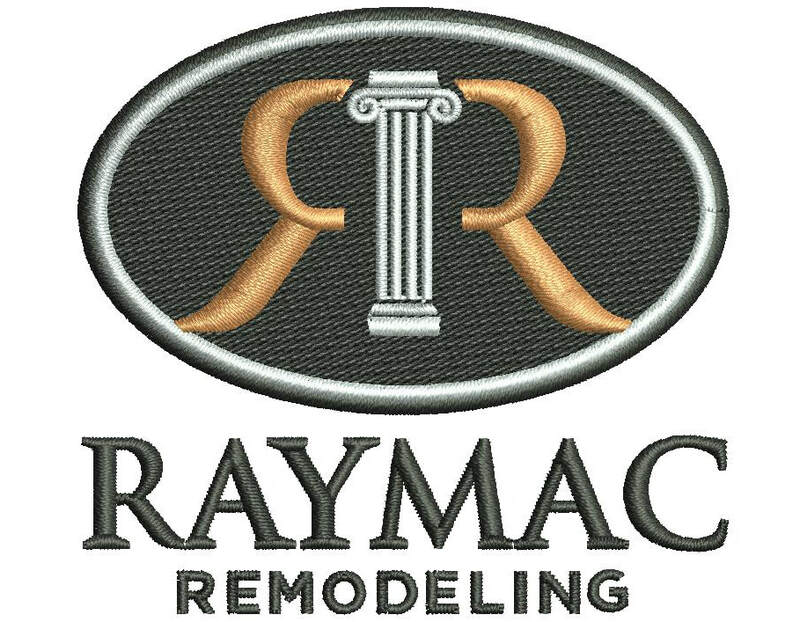 Raymac Remodeling has joined our line of distinguished customers. We look forward to a long relationship with Ramon Frangi and his staff. Powerbox americas in the house!! PowerBox Americas have tapped into Sew Busy's 21 years of embroidery experience and are using our services for Team PowerBox Americas' apparel. THANKS Danny Diaz for considering us! 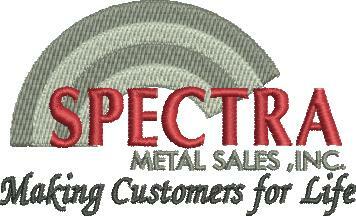 With operations in over 16 States, Spectra Metals Inc., has a diversified catalog to meet their clients needs. We feel honored to be able to meet SPECTRA Metal's high expectations. Deland Golden Hawks joins us! The DeLand "Golden Hawks" R/C Club in FLORIDA, has a rich history of almost 28 years of flying model aircraft at the DeLand airport. Thanks for letting us handle your new apparel. Keystone Radio Control Club has several IMAC enthusiasts who will participate in events in the NE and NC Regions of the organization. Thanks for ordering your apparel through us. We would like to extend a warm welcome to our Italian friend, Mirco Pecorari to the Sew Busy family. It is a great honor to be embroidering for your top class aircraft design company. We do hope that your trip up to the OSHKOSH event in Wisconsin will be a most enjoyable one for you and your company. As a world-leading manufacturer of integrated propeller systems, DOWTY Propellers provide solutions for the propulsion systems of today and tomorrow. We at Sew Busy, are proud that DOWTY recognizes the attention to detail that we pay to our embroidery and has been ordering apparel from Sew Busy. We look forward to a mutually beneficial business association.